AAF football. Credit: Brett Davis, USA TODAY Sports. The Alliance of American Football was cruising along, enjoying their first ever year as a league and then — wham — they decided to suspend operations indefinitely. However, suspending operations is certainly different than folding the league completely, which is likely to happen, but no one knows for sure when. Rewind to Wednesday and Yahoo! Sports is reporting the league reached out to their teams and told them not to contact AAF players. That’s because the NFL wants to avoid litigation in the case the AAF doesn’t actually fold, but revives itself. Then, on Thursday, the AAF gave its players the go-ahead to contact and sign with NFL players, likely signifying the league is soon to be done. The AAF won’t sue the NFL if the bigger, more established league steals away players, which is good news for the players themselves, but not the league. According to that Yahoo! 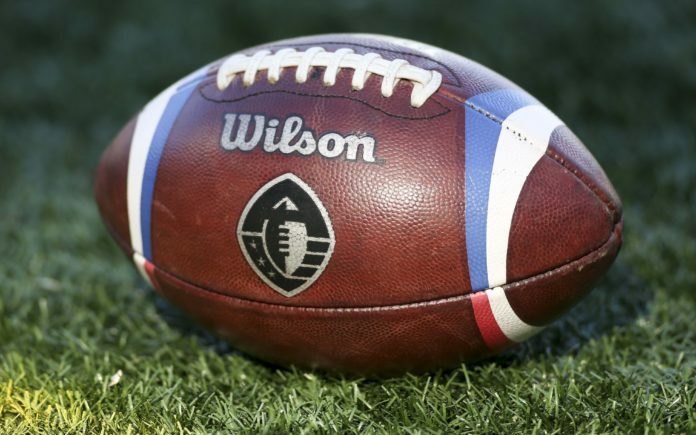 report, an internal memo at the AAF fired league employees and said they are looking for new investors with a possibility of starting up again in 2020. 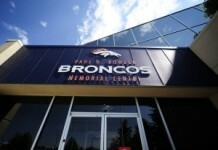 On Thursday evening, news broke from multiple reporters that the Denver Broncos had signed former AAF star cornerback De’Vante Bausby, who led the league with four interceptions on the season. 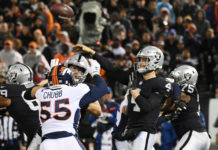 Bausby is a 6’2″ and 190 pound corner who bounced around the NFL from 2015-18 with the Chiefs, Bears and Eagles before making his way to the AAF, where he flourished. 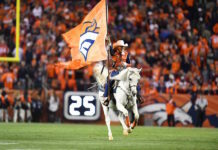 After putting on a show with the startup league, totaling a league-high 11 pass breakups along with those electrifying interceptions, Bausby was reportedly signed by the Broncos to be their No. 4 cornerback this season. As for the folding of the AAF, it’s bad for football on the whole. The NFL is basically an untouchable giant in the world of football, so the AAF was never really going to compete with America’s most popular sport. However, it could have become a great feeder league, giving undrafted players a chance to grow and shine, proving their worth, before getting a second shot at the NFL. Given the nature of how physical football is, and how many players wind up on Injured Reserve every year, having a feeder league for the NFL is something that’s been needed for a long time.